A good alternative to an elliptical cross trainer is the elliptical glider. The elliptical glider is preferred by many people who have issues with their hips, knees, or ankles. Instead of using step motions, you simply glide your legs back and forth with the handles. To help you find the right glider for your home, we looked at the most popular gliders in the market and found the best models at different price points. The ideal machine of this type should have a clear LCD display, comfortable foot pads, and offer fluid motion. Check out our top recommendations! 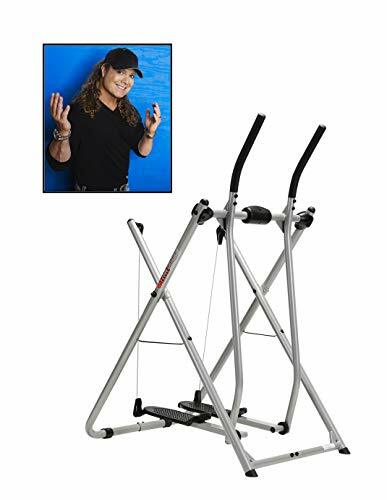 This elliptical glider can be found at a very low price point. It’s a very small space-saving machine that has a weight capacity of 220 lbs. Unlike other machines, it has an LCD display that tracks spent time, reps, distance, and burned calories. The foot pads are also textured to ensure that there is no slippage during workouts. On top of that, these are also oversized to fit a wide range of foot sizes. Best recommended for: People who are on a tight budget but want a solid machine that performs to expectations. 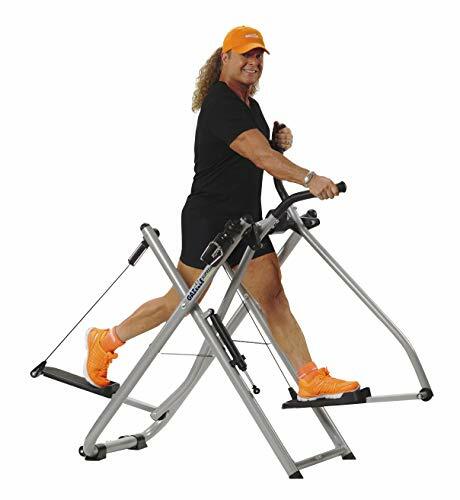 This elliptical glider is in the mid price range. It differs from the last model in that it has a side ways sway action. This functionality is great if you are looking to target the inner and outer thighs. Such a model offers a 220 lb weight capacity, 180 degree free range motion, and a design that fits most heights. It also has a digital monitor that tracks your progress. 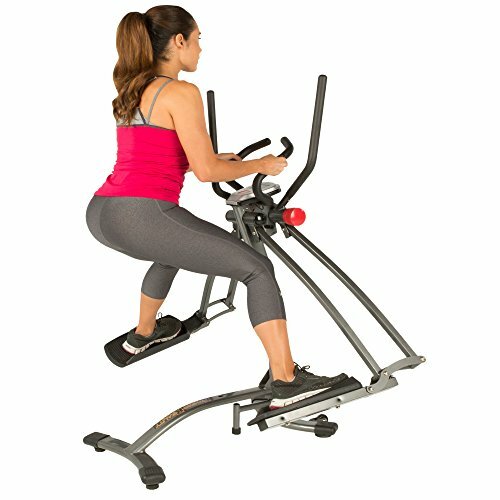 Best recommended for: People who want to use the elliptical glider to work on their inner and outer thighs. A few customers had trouble with assembly due to missing bolts and screws. Packaging needs to be more solid. 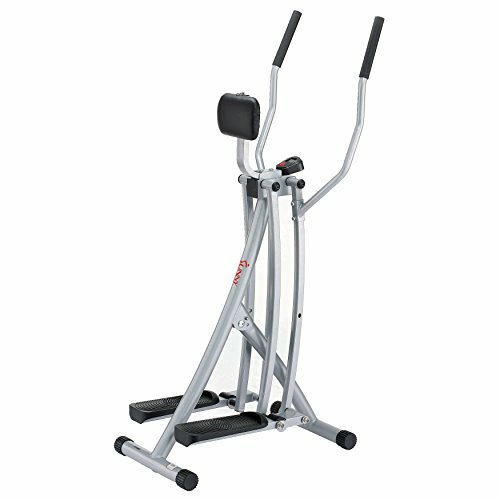 The Fitness Reality Dual Action/Multi-Direction Air Walker is a solid alternative to the Efitment model. It has a 225 lb weight capacity, 36-inch range motion, and dual action arms. There are several features that help this model stand out from the other Efitment elliptical glider suggestions.This one has dual action arms for extra upper body workouts. It also has a pulse sensor so that you can track your heart rate. On top of that, it also folds to half its size, making it super space saving. Fitness Reality does lack the sideways swing function. Nonetheless, if you’re not looking for this feature, this model is a strong buy. The foldable design is perfect for apartments. Despite the foldable design, it remains quite sturdy during use. The Gazelle Edge is a popular elliptical glider in the upper price range. It has a high weight capacity of 250 lbs which is higher than the previous models in this list. The Gazelle Edge is very fluid compared to the other gliders. However, we did find that it lacked many features like the pulse tracker, extra handles, and sideways swing function. If you’re focused more on the function of the actual glider, this is a strong choice. Best recommended for: People who don’t care much about all the extra features and just want a machine that feels smooth and fluid. This Gazelle Supreme Step Machine is a step above the previous model. It is like an upgraded version of the Edge due to its sturdier construction, higher quality material, and enhanced comfort. The weird thing about the machine is that the resistance cannot be adjusted properly and it starts out higher than average. That’s why you have to make sure that you’re already accustomed to higher resistance levels before you buy this model. Best recommended for: People who’ve owned other elliptical gliders and want to upgrade to a higher quality machine. All of these elliptical gliders are very popular with consumers and are some of the best in their price category. Each one has clear strengths and weaknesses as well as different features. You’ll need to pay careful attention to what each model comes with to ensure you buy a glider that you’re going to be satisfied with.